A new article for the CTC Sentinel that has been in the pipeline for a while. Looks at the phenomenon of British fighters going to Syria and the larger connections between the UK and fighting in Syria. A fascinating story that has not been dug into much, but is going to get bigger as time goes on. On other matters, I was quoted in a pair of Associated Press stories, here and here about the recent Ansaru Nigerian kidnappings. The most striking aspect about the Syria-UK connection is its similarity to past events. Not only are there shades of Bosnia in the ease with which Britons can join the war in Syria, but there are also similarities in the structures that have nurtured the conflict. Longstanding London-based preachers have returned to join fighters on the frontlines, convoys run by Muslim charities take food and supplies while hosting events at which they criticize the lack of action by the international community, and young men are taking time off from their ordinary lives to join the fight. Atop all of this, a political debate in the United Kingdom—reflective of the broader global debate—about what action to take in Syria has failed to deliver meaningful results, providing more fodder for those who perceive that the West is turning a blind eye to the plight of Muslims. In highlighting the complexity of this threat, this article identifies the current known links between the Syrian and British jihadist communities, as well as the broader context from which it is emerging. It also shows how fallout from Syria has the potential to have negative repercussions in the United Kingdom for years to come. Attention was first drawn publicly to the issue of British jihadists operating in Syria when a British and Dutch journalist escaped from their captors in Syria and made it to safety in Turkey. The men, Jerome Oerlemans and John Cantlie, had entered Syria on July 19, 2012, on assignment, but had the misfortune to fall into the hands of a group of mostly foreign extremists. Held captive for a week, the men were repeatedly threatened with death and beaten after an escape attempt. They were eventually released by a group of Syrians who had initially helped them enter the country. Yet the most surprising news to emerge from the event was that among the men’s captors had been almost a dozen British jihadists—nine of whom “had London accents” and at least one who claimed to be a National Health Service (NHS) doctor. The trainee doctor in question, Shajul Islam, was intercepted on October 9, 2012, when he returned on a flight from Egypt with his wife and child. A Briton of Bangladeshi origin, little is known about Shajul Islam aside from his age, 26-years-old, that he is from Stratford in East London, and that he is a doctor. A graduate of St. Bartholomew’s and a University of London hospital, he reportedly had a first class degree in biochemistry. According to captive John Cantlie, he carried an NHS medical kit with him and planned to return to work as a trauma consultant after a two year sabbatical. Less is known about his co-conspirator Jubayer Chowdhury, except that he is of Bangladeshi descent. Both are currently awaiting trial for their role in kidnapping the two journalists. In what was reported as an expansion of the case, authorities arrested an additional six men in mid-January 2013 as part of a wide-ranging police investigation into links with Syria. Authorities arrested one group of three men at addresses in east London, while a fourth man identified as being Portuguese was picked up at Gatwick airport. All were detained “on suspicion of commission, preparation or instigation of acts of terrorism.” Authorities arrested a second pair “outside a business” in west London, although no link was immediately drawn between the two cases. In the end, all but Mohamed Elyasse Taleouine from Lisson Grove, north London, were cleared, while Taleouine was charged with possession of a blank-firing MAC-10 that had been converted into a live weapon. A week later, police went back and re-arrested a man from the first set of arrests, revealing him to be Najul Islam, brother of Shajul Islam. Najul Islam was charged with a variety of offenses, including funding his brother’s travel to Syria, funding Jubayer Chowdhury’s return from Syria, and sending them money to support their activities. Additionally, police believe he traveled by vehicle from the United Kingdom through Turkey to Syria to provide equipment including night vision goggles, air rifle optic mounts, and medical supplies. Likely to come to trial next year, more information will then be released about the men and how they reached Syria. A great deal more information, however, has emerged about an unconnected, separate case involving Nassim Terreri and Walid Blidi, two men of Algerian descent who were raised in London and died March 26, 2012, at Darkoush, a few miles from the Turkish border. Respectively from west and south London, the men led relatively uneventful lives prior to their deaths. Reported as a kind young man who worked hard at school, Nassim Terreri dropped out of a university course and had drifted into waiting tables. In his early 20s, he found religion and traveled to Mecca, after which he began wearing traditional Arab dress. He reportedly participated in an aid convoy to Gaza led by Minister of Parliament George Galloway. By the end of 2011, however, his family noted he had shaved off his beard and met a girl—suggesting that his religious fervor may have passed. In early 2012, he went on a vacation with Walid Blidi to France. Two weeks later, he called his mother from the Syrian border and, according to a family friend, “told her he was going to find out what was really happening in Syria.” After another two weeks, she received a call that he and Blidi were dead. Much less is known about Blidi, except that in August 2007 he was arrested in Exeter alongside a pair of others during a police drug sting. Initially, reports from Syria indicated that Blidi and Terreri were journalists. Little evidence, however, emerged of them having done any reporting, and the al-Assad regime included their names in a list to UN Secretary General Ban Ki-moon as evidence foreign terrorists were involved in the insurgency. The real story emerged when reporters interviewed fighters who claimed to have been with the men on the night they died. The two British fighters apparently opened fire at a passing Syrian government convoy, attracting retaliatory fire and getting the group caught in a firefight between government and rebel forces. During the clash, other Syrian fighters were killed, and another Briton known only as Hamza was injured. His fate is unknown. The brigade in which the men were fighting, the Hisham Haboub brigade of the Free Syrian Army, was not Salafi-jihadi, but the men’s actions and deaths highlight how easy it is for British nationals to participate in frontline fighting in Syria. Biographies published in the British media highlighted that Nassim Terreri in particular “favorited” videos of “extremist Australian preacher” Shaykh Feiz Mohammed. Young Britons fighting in Syria is not a surprising development. British fighters have been found on almost every jihadist battlefield since Afghanistan in the 1970s. This pipeline was nurtured by the unique combination of restive second-generation immigrant communities, dissident Arab populations—both secular and non-secular—who used bases in London to promote causes, including anti-government agendas, at home, with a seemingly passive British government response. 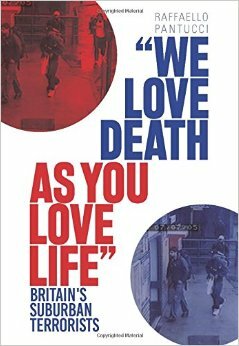 Captured in the public imagination with the shorthand term “Londonistan,” this community also provided a home for radical preachers who brought jihadist ideas to British shores and ended up radicalizing a portion of British youth. This led to young Britons becoming involved in international radical networks, including al-Qa`ida, leading ultimately to the July 7, 2005, bombings when a group of young Britons under orders from al-Qa`ida killed 52 people on London’s transport system. Since the advent of the Arab Spring, however, the larger connection between Arab dissidents based in London and their home nations has become more prominent. Libyan exiles from London and Manchester went back in unknown numbers to fight alongside the rebels against the Mu`ammar Qadhafi regime, a number of key Tunisian Ennahda party members (including leader Rashid al-Ghannouchi) relocated from Britain to help run the country in the wake of Zine El Abidine Ben Ali’s departure, and prominent former Muslim Brotherhood spokesman Kamal Helbawy was among a number of exiles who returned to Egypt as Hosni Mubarak was deposed. The United Kingdom has a personal connection with the anti-government forces in many Arab Spring countries—whether they are secular, nationalist, or Islamist. This connection is also present with Syria, where dissidents and exiles from the Syrian community living in the United Kingdom (estimated at 13,000 strong) have become a key support network for their brethren in the Middle East. Support includes providing funding and aid convoys, dissident groups providing a way for information to get out from the war raging in Syria, as well as fighters and spiritual leaders for the rebellion. In addition to Syrians, British Muslims of other ethnicities have traveled to Syria as well. As highlighted by the previous examples, British fighters known to have fought in Syria are young men who have graduated from university, worked as waiters, trainee doctors, or even as former drug dealers. The exact numbers in terms of ethnic provenance are hard to determine, but a substantial amount seem to be drawn from communities other than Syrian. According to Birmingham Minister of Parliament Khalid Mahmood, as of August 2012 at least 30 young Britons not of Syrian descent had traveled to Syria. A Sudanese community leader from west London reported that he had spoken to a younger member of his community who claimed to have at least 21 friends who were training to go to Syria, and spoke of joining formerly UK-based Moroccans and Somalis who had already gone to fight. In August 2012, a British journalist in Aleppo met a British convert from Walthamstow who used the name “Abu Yacoub.” He claimed to have converted five years earlier, having originally been born in Tanzania and brought to the United Kingdom as a child. He came to Syria four months earlier and was found in the company of an Iraqi friend who had been injured. Both men claimed to be members of Kata’ib Ahrar al-Sham (Free Men of Syria), an Islamist group involved in the war. Another report from later in the year instead highlighted a “pious” young Bangladeshi Briton who had risen in the ranks of foreign fighters and was responsible for about 50 Britons who went to fight in Syria. Thus far, none of those reportedly arrested around the case linked to the kidnapping of the two journalists have been identified as being of Syrian descent. Another former “Londonistani” who appeared briefly toward the beginning of the Syrian conflict and then disappeared was Mustafa Setmariam Nasar, otherwise known as Abu Mus`ab al-Suri. A prominent jihadist theologian, U.S. and Pakistani forces captured him in Quetta in 2005 and eventually transferred him to Syrian authorities. In the late 1990s, al-Suri was one of the prominent former Arab Afghan warriors to have landed in London as Afghanistan descended into civil war and the jihad against the Soviets concluded. Alongside Abu Qatada, al-Suri managed the jihadist screed Ansar that openly supported extremist groups in Algeria. Following his time in London, he moved to Afghanistan from where he helped train fighters and authored literature until he was captured in late 2005. Al-Suri languished in Syrian custody until early February 2012, when news emerged on the Shumukh jihadist website that he had been freed. While it is hard to independently verify this claim, the news has been widely accepted as true among the expert community and seemingly confirmed both by reliable extremists on forums and London-based extremists who knew him. The logic behind the al-Assad regime’s decision to release him is unclear. Support for the war in Syria has not only come through fighters and warrior preachers. One of the more under-reported but highly important figures to have emerged from the United Kingdom is Muhammad Surur bin Nayif Zain al-Abidin. A British passport holder, Surur was based in the United Kingdom for almost two decades after moving there in the 1980s. He has reportedly been characterized as a “Godfather-like” figure who had previously vetted individuals who had traveled to the United Kingdom to meet with Saad al-Faqih or Muhammad al-Massari. Al-Faqih and al-Massari are two prominent Saudi dissidents in London who have played senior roles in the “Londonistan” community. As well as individually running dissident groups aimed against the Saudi regime, al-Massari in particular was an active supporter of Britain’s nascent online jihadist community. Other Syrians have remained in the United Kingdom and have taken roles publicly supporting the rebels in other ways, either through formal new Syrian National Council structures or Syrian-managed NGOs. Beyond politics, a basic sense of feeling the need to support the Syrian refugees seen regularly on television screens has driven unknown numbers of Britons to give money and other forms of aid to support those living in refugee camps in Turkey or elsewhere. Support for Syrian refugees has come from traditional charitable entities from across Britain’s Muslim community. Using a blend of videos, magazines, flyers, stalls in city centers, charity boxes inside and outside mosques, and sponsored events, these charities turn the money they raise into goods which they then drive—in convoys usually with donated ambulances—to refugee camps in Turkey. There is no evidence that these are anything but charitable enterprises, but some of the individuals involved are notable for more radical views. More openly controversial groups such as Hizb al-Tahrir have also regularly held demonstrations or protest events at which they call for al-Assad’s downfall. At these events, emotive language is used to encourage people to help support the refugees, with preachers often providing a religious explanation for why more should be done. These are all legitimate activities, yet it highlights the backdrop around which the issue is discussed in Britain’s Muslim community. The trouble in Syria remains beyond British borders. Security officials are somewhat constrained about how to respond, and understandably only take action when specific cases linked to kidnapping or terrorism can be constructed. The question becomes what will happen to the young men who are bloodied in the conflict after the Syrian war winds down, as well as the networks that will have been established between radical groups in Syria and in the United Kingdom. It took a few years before former Bosnian fighters were implicated in terrorist plots in the United Kingdom. In 1995, Andrew Rowe, an aimless former drug dealer, converted to Islam and went to Bosnia where he took up arms and was injured during fighting. In 2003, he was arrested with unspecified terrorist plans after being connected with a number of French former Bosnian fighters who carried out a series of violent robberies across France. Saajid Badat went to Sarajevo in 1998 and the next year to Afghanistan. Two years later he was on his way back to the United Kingdom with Richard Reid and a set of “shoe bombs” with the intent to blow up transatlantic airlines. Also in 1998, Omar Sharif answered the call to go and join Kosovar militants fighting Serbs, although he cut his trip short. He went to Damascus approximately a year later, then Afghanistan after 9/11, before his fatal trip in 2003 back to Damascus where he hoped to join the insurgency in Iraq and instead ended up as part of a two-man suicide cell operating on Hamas’ behalf in Tel Aviv. This is not a new narrative. Conflicts with a jihadist flavor attract idealistic young fighters who are sometimes redirected to other conflicts. At some point, if these fighters encounter certain groups or individuals, this energy can develop into plotting at home. Certainly this is not always the case, and most of those who go—either to fight or simply to do charity work—will return home and resume their lives. Yet the growing depth and complexity of the UK-Syria connection will perplex security services for years to come as they try to identify who is connected with Salafi-jihadi groups such as Jabhat al-Nusra and who went for less nefarious reasons. William Hague, “Foreign Secretary on Countering Terrorism,” speech at the Royal United Services Institute (RUSI), February 14, 2013. Bosnia was a bus or car ride away for British citizens, similar to Syria. Covered in greater detail later in the article, there are charitable organizations, as well as jihadist support networks, that help British Muslims become involved in Syria: either in providing aid as part of charity convoys, or more active roles as fighters. This is similar to Bosnia where similar structures existed. Evan Kohlmann’s Al-Qaeda’s Jihad in Europe: The Afghan-Bosnian Network provides a snapshot of British jihadist support structures in Bosnia. John Cantlie, “Are You Ready to Die?” Sunday Times, August 5, 2012. John-Paul Ford Rojas, “NHS Doctor ‘Led Extremist Cell in Syria,’” Telegraph, August 27, 2012. “British Police Arrest 2 at Heathrow Airport in Probe into Terrorist Activity in Syria,” Associated Press, October 9, 2012. Tom Whitehead, “NHS Doctor Accused of Being Part of a British Jihadi Group in Syria,” Telegraph, October 17, 2012. Paul Peachey, “Four Men Arrested Over Syria Terror Fears,” Independent, January 10, 2012. Tom Whitehead, “Four Men Arrested Under Terror Laws After Kidnap of Journalist,” Telegraph, January 10, 2012. Margaret Davis, “London Man Charged Over Sub Machine Gun Possession,” Independent, January 17, 2013. “Man, 20, is Held on Sub-Machine Gun Charge by Officers Investigating Alleged Support for Terrorism,” West End Extra, January 18, 2013. “Man Charged in UK Over Journalists’ Syria Kidnap,” Agence France-Presse, January 25, 2013. “Man at Court Charged with Terrorism Act 2006 Offence,” Crime & Justice, January 25, 2013. Tom Coghlan and Laura Pitel, “The British Pals Who Died Waging Holy War in Syria,” Times, October 13, 2012. “Drug Squad Criticizes Jail Terms Handed out to Crack Cocaine Trio,” Express and Echo, February 10, 2008. “Two Independent Journalists Killed in Syria,” Committee to Protect Journalists, March 27, 2012. Laura Pitel and James Hider, “British ‘Terrorists’ Among Dead, Says Syria,” Times, May 18, 2012. Omar Nasiri, Inside the Jihad: My Life with al Qaeda (London: Hurst, 2006), p. 16. Raffaello Pantucci, “A Biography of Rashid Rauf: Al-Qa`ida’s British Operative,” CTC Sentinel 5:7 (2012); Nic Robertson, Paul Cruickshank and Tim Lister, “Documents Give New Details on al Qaeda’s London Bombings,” CNN, April 30, 2012. Exact numbers are unknown, but anecdotal stories suggest that dozens went back to fight from Manchester’s Libyan community. See Jane Deith, “The Teenage Libyan Rebel from Manchester,” Channel 4 News, June 11, 2011; Edna Fernandes, “Why Do So Many Libyan Rebels Seen on TV Speak with British Accents?” Daily Mail, July 31, 2011. “Tunisian Islamist Leader Rashid Ghannouchi Returns Home,” BBC, January 30, 2011. Another key figure to have returned was Said Ferjani. Mohamed Elmeshad, “Profile: Kamal al-Helbawy, a Defector of Conscience,” Egypt Independent, September 4, 2012. For a longer overview of Britain’s “Londonistani” community and the impact of the Arab Spring, see James Brandon and Raffaello Pantucci, “UK Islamists and the Arab Uprisings,” Current Trends in Islamist Ideology 13 (2012). Zubeda Malik, “Britain’s ‘Fragmented’ Syrian Community,” BBC, August 24, 2012. Andrew Gilligan, “Security Services ‘Failing’ to Stop British Jihadis Heading to Syria,” Sunday Telegraph, August 25, 2012. Richard Spencer, “British Convert to Islam Vows to Fight to the Death on Syrian Rebel Front Line,” Telegraph, August 16, 2012. David Brown, Sean O’Neill and Dominic Kennedy, “British Jihadi Recruits 50 Muslims for War in Syria,” Times, October 18, 2012. Duncan Gardham, “The Poplar Preacher Leading an Armed Gang of Jihadis in Syria,” Telegraph, October 19, 2012. “Abu Hamza Jailed for Seven Years,” BBC, February 7, 2006. “Hate Preaching Cleric Jailed,” BBC, March 7, 2003. Omar Mahmoud Mohammed Othman, or Abu Qatada v. Secretary of State for the Home Department, Special Immigration Appeals Commission, March 8, 2004. Mahan Abedin, “Al-Muhajiroun in the UK: An Interview with Sheikh Omar Bakri Mohammed,” Spotlight on Terror 2:5 (2005); Shiv Malik, “The Missing Links,” New Statesman, May 7, 2007. This statement is drawn from conversations with London’s Muslim community, and discussions such as the following on the Islamic Awakening Forum: http://www.forums.islamicawakening.com/f18/sheikh-abu-basir-al-tartousi-hafidhahullah-liberates-61936. Ibid. Also see the video at http://www.youtube.com/watch?feature=player_embedded&v=uJfBkUgkSU8. For details, see his statement at http://www.abubaseer.bizland.com/hadath/Read/hadath%2093.pdf. By February 2013, al-Tartusi had returned to the United Kingdom. This abbreviated biography is drawn primarily from Brynjar Lia, Architect of Global Jihad: The Life of Al Qaeda Strategist Abu Mus`ab al-Suri (London: Hurst, 2009). Murad Batal al-Shishani, “Syria’s Surprising Release of Jihadi Strategist Abu Musab al Suri,” Terrorism Monitor 10:3 (2012). Specifically, Egyptian Yasser al-Siri has claimed that he has information pertaining to Abu Mus`ab’s release. See “Abu Musab Al-Suri Speaks on His Pakistan Detention,” The Arab Digest, February 24, 2012. Details on Surur can be found in Lia. In 1999, a British man working for Railtrack, Mohammed Sohail, was revealed to be using his work account to fundraise for jihad abroad, in locations such as Kashmir, Algeria and Chechnya, among others. When confronted by reporters, he told them, “I work for two people really, Mr. Massari and Osama bin Laden.” See Chris Hastings and Jessica Berry, “Muslim Militia Training in Britain: Bin Laden Groups to Join Mujahedeen for Various Wars, Including Chechnya,” Ottowa Citizen, November 7, 1999. In later years, al-Massari would openly talk on the BBC about running jihad supporting websites and radio stations from the United Kingdom. See “The New al-Qaeda: jihad.com,” BBC, July 20, 2005; Philip Johnston, “Calls to Deport ‘the Voice of al-Qa’eda,’” Telegraph, July 27, 2005. Jarret Brachman, Global Jihadism: Theory and Practice (London: Routledge, 2008), p. 38; Lia. Ibid. ; personal interview, Malik al-Abdeh, London, November 2012. Two prominent examples are Walid Saffour and Rami Abdulrahman. The author encountered one such convoy on its way to Ancona, Italy, in the Marche region of Italy heading to a boat to Turkey. With a bus branded from “Dudley [a British city in the west midlands] to Damascus,” the drivers reported being part of a six vehicle convoy including an ambulance and a heavy goods truck with clothes and children’s milk. They were linked to the charity United Muslims (www.unitedmuslims.co.uk). Other convoys have been sent from the Aid Convoy charity (www.aid-convoy.org.uk). For example, on February 25, 2012, outside the Syrian Embassy, the group Aid Convoy 2 Syria (that later became the Aid Convoy) held an event called “Answer the Call: Charity Rally for Syria,” at which Shaykh Haithem al-Haddad and Imam Shakeel Begg spoke with the Qur’anic recitation provided by Sufyan Mustafa Kamal, the son of recently deported preacher Abu Hamza al-Masri. While none of these men have been convicted on any terrorism charges or fallen under suspicion of any crime, they have all attracted some controversy due to the tone in their preaching. For pictures of this demonstration, see http://www.demotix.com/news/1060472/hizb-ut-tahrir-march-through-london-support-syrian-uprising#media-1060346. Moazzam Begg, “Syria: My Journey to the Land of Blessing, and Torture,” Cage Prisoners, August 16, 2012. Jeremy Britton, “Rowe ‘Bore al-Qaeda Hallmarks,’” BBC, September 23, 2005. “Al Qaeda Exploits ‘Blue-Eyed’ Muslim Converts,” Reuters, October 11, 2005. Martin Beckford, “Terrorist Supergrass Saajid Badat: The Shoe Bomber Who Got Cold Feet,” Telegraph, April 17, 2012. Paul Cruickshank, “Transatlantic Shoe Bomber Knew Bin Laden,” CNN, April 20, 2012. “World: Road to Martyrdom,” Journeyman Pictures, first broadcast on May 30, 2007.